What’s the difference? visit our tours homepage To LEarn More! In need of a step-on guide for your tour group? Tour guiding is a joy. Sometimes it's hard work. Sometimes it's both. Our journal chronicles the ongoing voyage. Here we keep you connected with our tours, videos, audiobooks, upcoming events and American history tidbits. Plus, it's a good platform to share our general observations and mindless musings. If you find yourself green beer in hand this Saturday, make sure you raise a glass to one of DC’s most loved Irish Americans! Cheers! Daylight Saving Time - Where Does it Come From? For thousands of years, people have been adjusting their daily schedules according to the seasonal sunlight. Take me for instance - I hibernate in a hidden ice cave from early November through the end of February. Born from labor movements across Europe and North America, INTERNATIONAL WOMEN’S DAY is now an international celebration and a call to activism! We know you can't always be on tour with us. You can, however, take a guided tour right from the comfort of ... wherever you are right now. Our videos are guided journeys into the past - without the actual time travel. Do you like audio books? Of course you do. Do you like history? That goes without saying. You should probably download one of our audio books today. Whether in the car, exercising, cleaning the house, or just relaxing, our books will entertain and educate you. 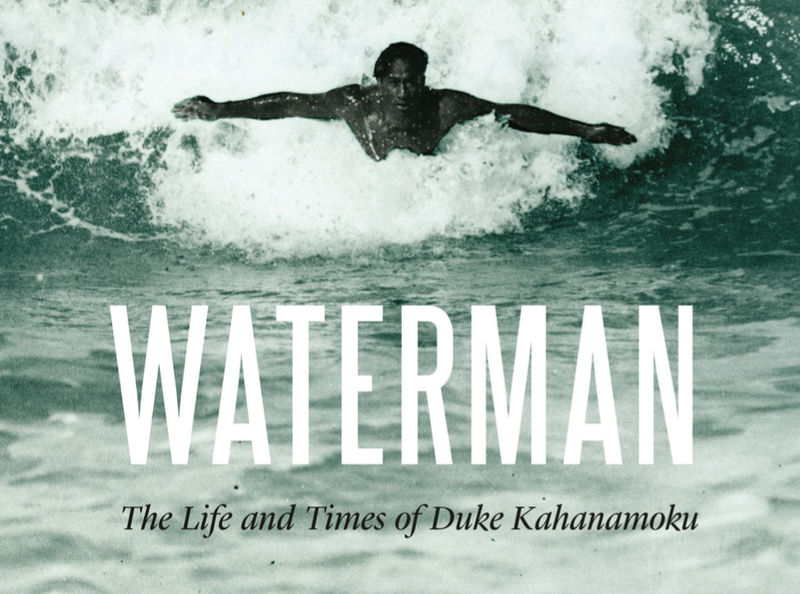 Waterman is the first comprehensive biography of Duke Kahanamoku - swimmer, surfer, Olympic gold medalist, Hawaiian icon, waterman. Long before Michael Phelps and Mark Spitz made their splashes in the pool, Kahanamoku emerged from the backwaters of Waikiki to become America's first superstar Olympic swimmer.